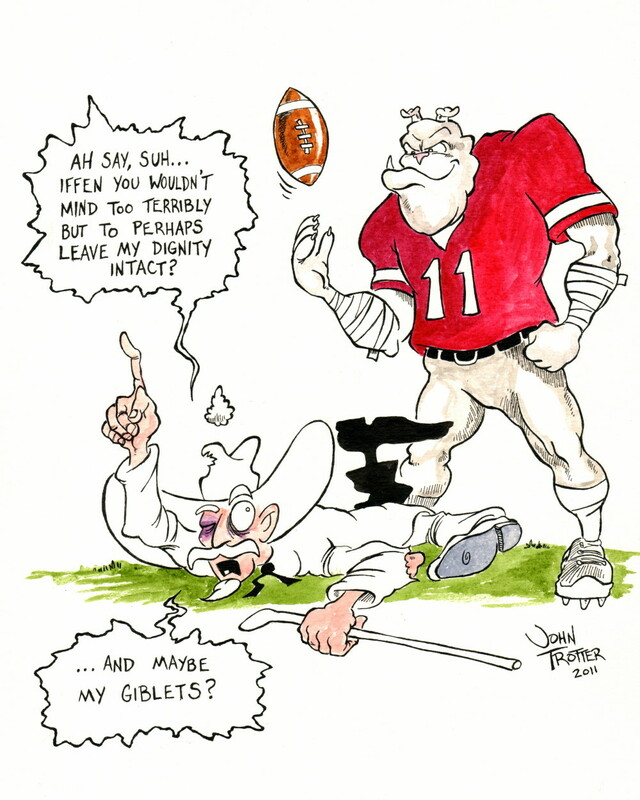 Unfortunately I don't have a lot to put up this week but here is the latest in my Bulldog sports 'toon theme. I liked this one. It worked out well from a compositional standpoint and I am improving on the coloring. 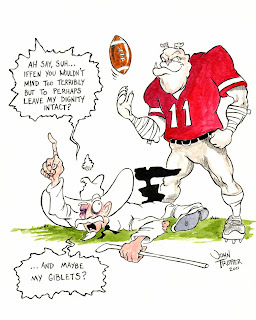 Plus...I got to use the word "giblets" in a punchline. I'm off this week so I am going to attempt to get a couple of new things put up before I have to go back to the grind of a regular job.